Home For Family Why FRC? 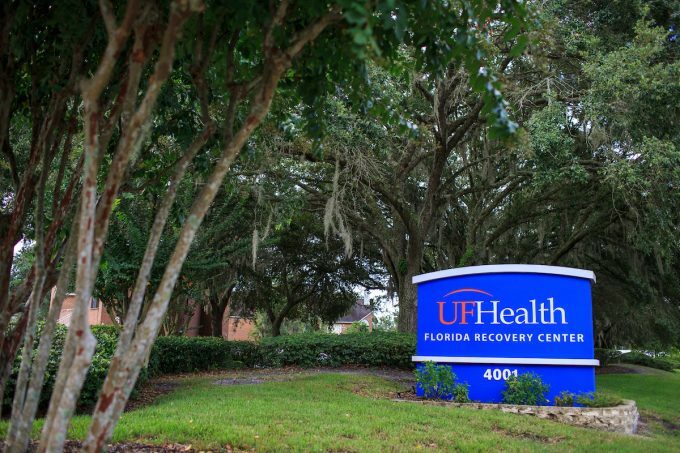 Recovering physicians and staff at the UF Health Florida Recovery Center understand the addict and the alcoholic because of first-hand experience. University of Florida researchers and physicians practice the bench-to-bedside philosophy by implementing the latest discoveries in the field of addiction medicine. Led by renowned University of Florida addiction specialist Scott Teitelbaum, M.D., F.A.A.P., F.A.S.A.M, our program ranks among the best addiction treatment centers in the country. Our partnership with the University of Florida College of Medicine Department of Psychiatry keeps us connected to leading-edge research and allows for consults and treatment of dual diagnoses. UF physicians specializing in addiction medicine and addiction psychiatry direct our programs. Specialized recovery groups focus on the unique needs of healthcare and business professionals. Physicians are involved and oversee partial hospitalization and intensive outpatient programs. Patients receive personalized attention due to the size of our program. Our staff is personally committed to the 12-step and spiritual approach to recovery. We have a strong professional recovery community. We have the largest training program for addiction medicine specialists, including the American Society of Addiction Medicine (ASAM) and the American Academy of Addiction Psychiatry (AAAP), in the nation. UF Health physicians and staff at the UF Health Florida Recovery Center have the unique ability to deal with complex medical issues, including acute addiction episodes, detoxification from multiple drugs, management of chronic pain and co-occurring disorders such as addiction combined with depression. The Florida Recovery Center has the largest academic addiction team of any of the addiction centers in Florida and the nation that provide treatment, advocacy, education and research in support of those who seek recovery from addiction. Addiction affects body, mind and spirit. Addiction damages the family unit. Consequences of addiction impact all relationships and the workplace. Shame and denial hinder recovery. Treatment works. The negative outcomes of addiction can be prevented with intervention. We believe that through multidisciplinary assessment, state-of-the-art treatment protocols, 12-step facilitation with cognitive behavioral therapies and family therapy, we can help patients recover. We offer inpatient and outpatient services for patients and their families. We are fully licensed and accredited by the Joint Commission.